From 9.40 a.m. on 7th March to 4.20 a.m. on 8th March under the pretext of investigative actions Central Investigation Department of MIA General Administration for the City of Moscow with the support of armed Special Purpose Mobility Unit along with the active participation of the Ministry of Culture and with the use of special equipment carried out a seizure at the non-governmental Museum named after Nicholas Roerich of the International Centre of the Roerichs (ICR). 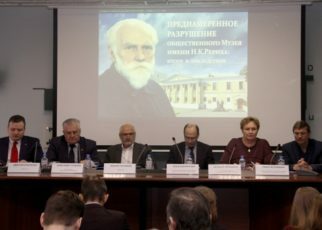 During the procedure about 200 paintings by Nicholas and Svetoslav Roerichs, originals of the donation agreements from 2002 considering donation of the Roerichs’ paintings to the Museum as well as data from computers and other documentation were seized. Moreover, important historical documents dated 1990s were seized too. In fact, actions carried out by law enforcement authorities resembled forcible seizure. 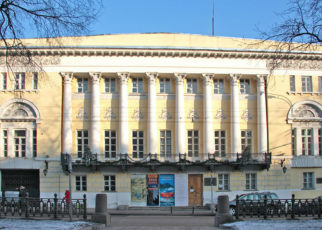 OMON kept the Museum staff unrelated to the criminal case blocked in the buildings for 18 hours including the nighttime. The staff was subjected to humiliating search of the working space, movement restrictions, mental and physical pressure; they were also not allowed to use their mobile phones. Neither the acting Director of the Museum, nor her deputies or the Museum custodians were allowed to the Museum halls in order to control the seizure of the paintings. We believe that this was made intentionally in order to give an opportunity to the representatives of the Ministry of Culture, including the Advisor to the Minister of Culture Mr. Rybak, the Deputy Director of the State Museum of Oriental Art (SMOA) Mr. Mkrtychev and other SMOA staff as well as to the invited from the New York Roerich Museum so-called specialist Mr. Popov(?! ), to act without any control in the eleven Museum halls full of priceless exhibits. In fact, these people controlled all actions of the law enforcement authorities aimed at seizure of the Roerichs’ heritage. They searched and chose paintings and documents to be seized and taken away from the Museum. 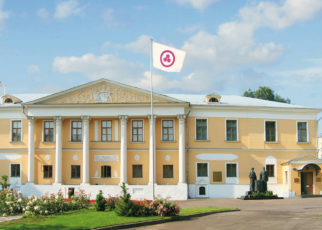 The International Centre of the Roerichs is the legal owner of all the Roerichs’ paintings donated to the ICR not only by the Bulochniks but also by other people and organizations. 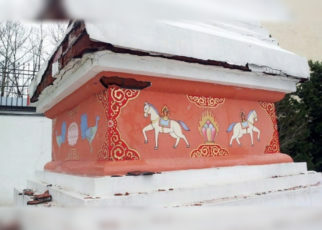 None else has any rights to these paintings by the Roerichs. We consider the armed seizure of the International Centre of the Roerichs and taking out of about 200 Museum exhibits to be the illegal action, which was aimed at destruction of the Museum and was initiated by the administration of the Ministry of Culture. The Ministry of Culture together with SMOA have been exerting pressure on ICR for 3 years already. Under their initiative the media are creating the negative image of the ICR based on unfounded accusations of misappropriation, sectarianism etc. aimed to form negative attitude of the community towards ICR. 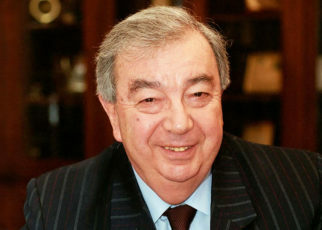 In 2015-2016 under the request of the First Deputy Minister of Culture Mr. Aristarkhov, 23 unscheduled inspections based on absurd suspicions including extremism were conducted at ICR by different governmental bodies. In 2016 ICR had to take part in 13(!) proceedings, initiated with the support of the Ministry of Culture. 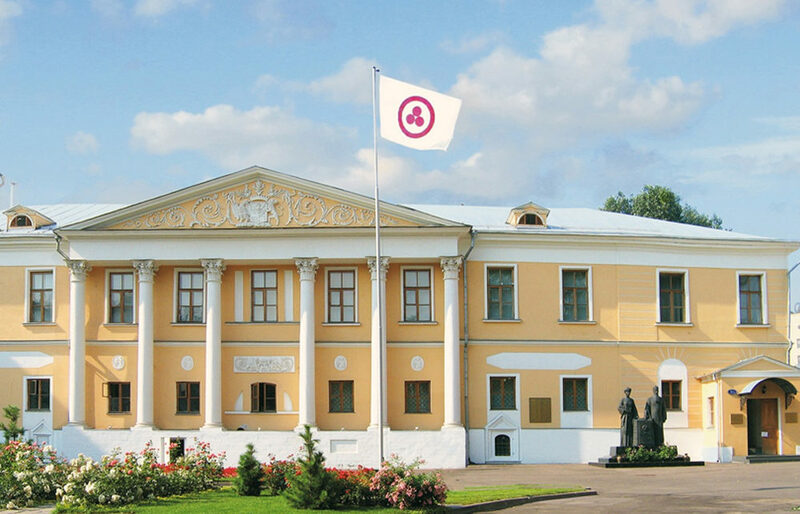 The Ministry together with SMOA referring to false and unproved grounds are seeking eviction of ICR and its Museum from the Lopoukhins’ estate, renovated by ICR with its own funds. 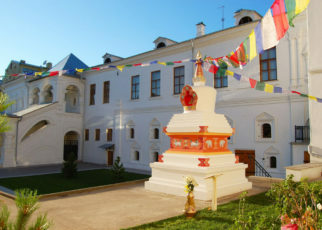 A real persecution of our non-governmental organization is caused only by the fact that the International Centre of the Roerichs, saving and multiplying the Roerichs’ heritage for the people of Russia, is strictly following the will of Svetoslav Roerich, who was Indian citizen and the founder of ICR. 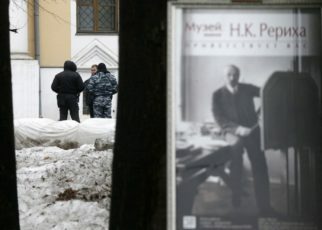 The armed incursion, destruction of the exhibition and looting of the funds of the non-governmental Museum named after Nicholas Roerich carried out under the guidance of the administration of the Ministry of Culture contradict with Russian interests. 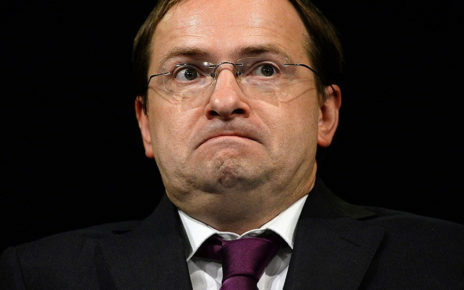 These actions are aimed at undermining of authority of our country at the international level and represent a total disregard of principles of the Russian Constitution and requirements of the Main Cultural Policy Postulates of the Russian Federation. The contemporary history has never witnessed the examples of such forcible seizure of museums or cultural and educational centers, during which a large number of cultural properties would be seized. The events of 7-8 March remind of the expropriation of revolutionary year 1917 and ruthless repressions of 1930s. The Board of the International Centre of the Roerichs strongly protests the forcible seizure. 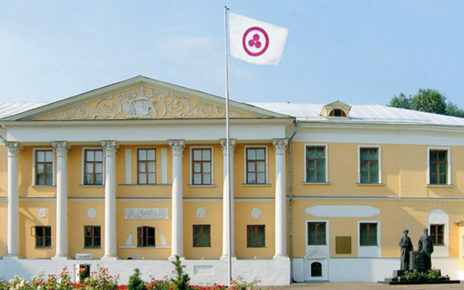 We urge the President and the Government of the Russian Federation, Russian National Committee of the International Council of Museum (ICOM) and all representatives of public authorities to protect our rights pursuant to the Constitution of the Russian Federation, to prosecute those responsible for the seizure of the non-governmental Museum named after Nicholas Roerich of the International Centre of the Roerichs and for the violation of rights and freedoms of the staff of our non-governmental organization. 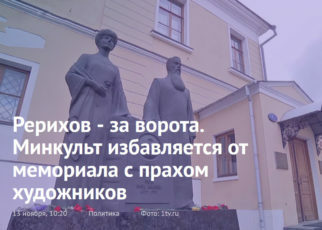 We demand that they stop anti-cultural and destructive activities carried out by the administration of Ministry of Culture against the non-governmental Museum named after Nicholas Roerich of the International Centre of the Roerichs as these activities are fundamentally contrary to the national interests of Russia.